Donor Management & QuickBooks Accounting! DonorPerfect’s Accounting Interface Module enables nonprofits to integrate DonorPerfect with the latest installed versions of QuickBooks® Pro and Premier®. Save time! Gift transactions are summarized by General Ledger Codes and posted automatically to QuickBooks. 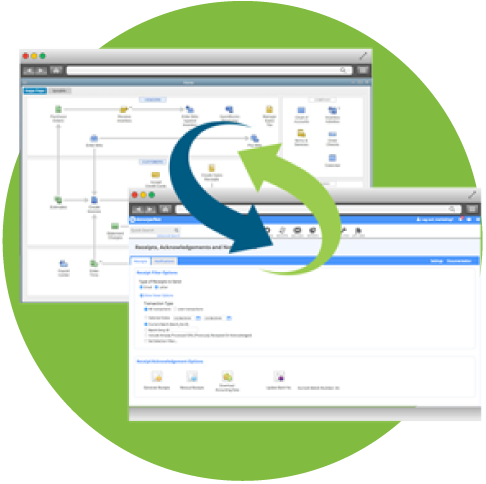 Reduce errors by eliminating the need to enter data twice. This module creates journal entries and transfers transaction detail for you. 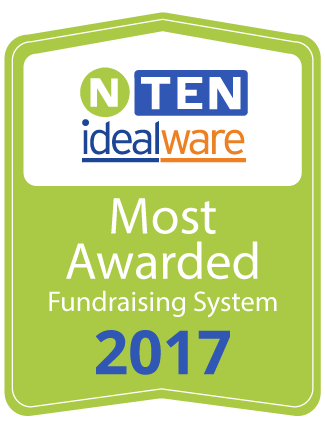 Manage expenses, financial statements and non-donor revenue in QuickBooks while benefiting from DonorPerfect’s specialized features for managing donor information, gifts and pledges. 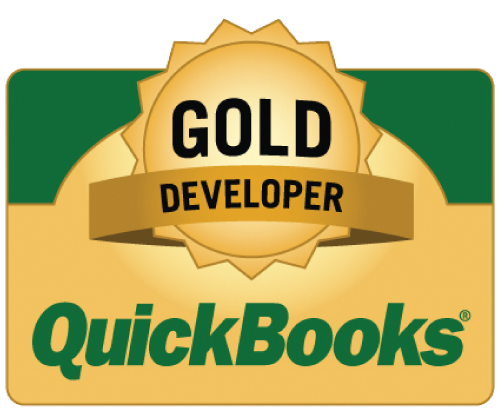 How does DonorPerfect complement QuickBooks? 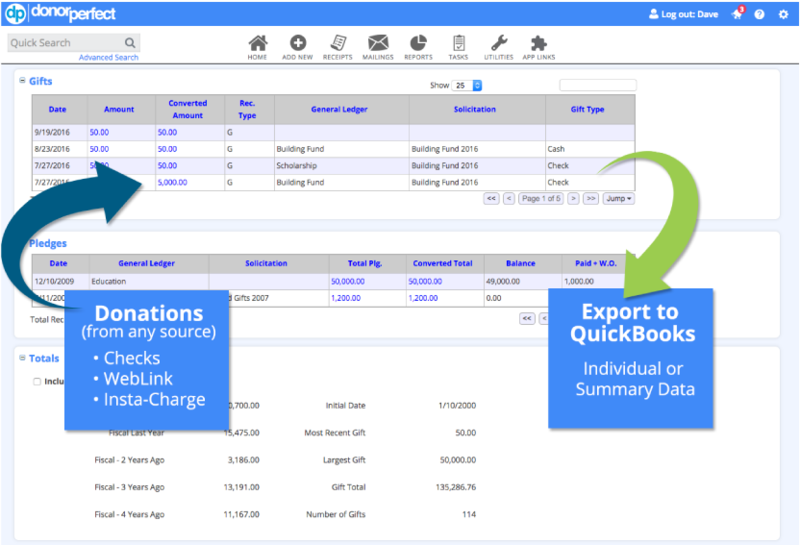 QuickBooks provides an easy-to-use and powerful solution for managing expenses and producing financial statements. This functionality is dramatically enhanced by DonorPerfect’s features for the receipt and acknowledgement of donations. The Accounting Interface allows users to report on, and work with, detailed transaction activity in both DonorPerfect and QuickBooks with absolutely no re-entry of data. After entering all of the donations listed above, these entries can be exported from DonorPerfect automatically using the Accounting Interface so the data is formatted to be easily imported into QuickBooks.